"Are you still looking for an ambulance? 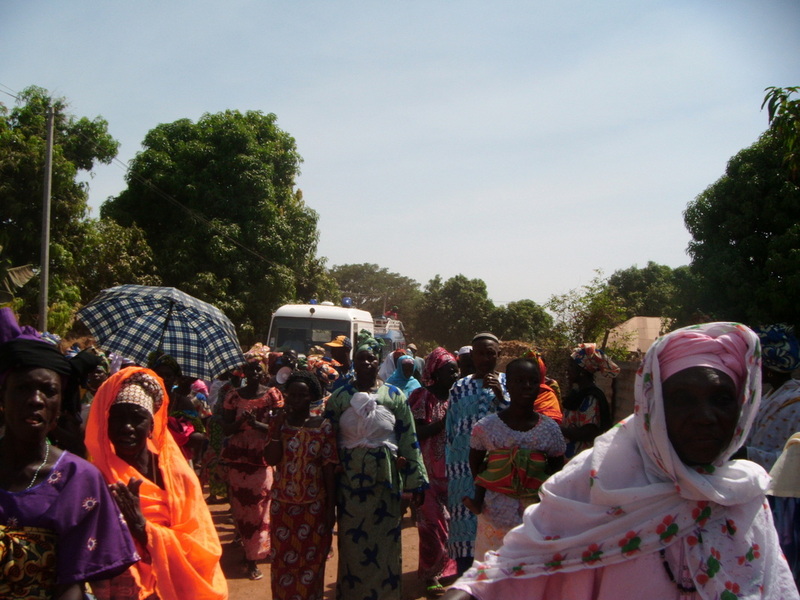 I might be able to help..."
This short message received via our website contact form sparked some frantic communications, a flurry of activity in The Gambia, and ultimately the arrival of the one thing our hospital in Jappineh needed more than anything else - that new ambulance! The message came from Mel Bixley, who'd found details of our £5,000 ambulance fundraising campaign on www.thebiggive.org.uk and contacted us with the outstanding offer to meet the full amount. Once Kira was notified that the funds were available, she began her search for a suitable vehicle. 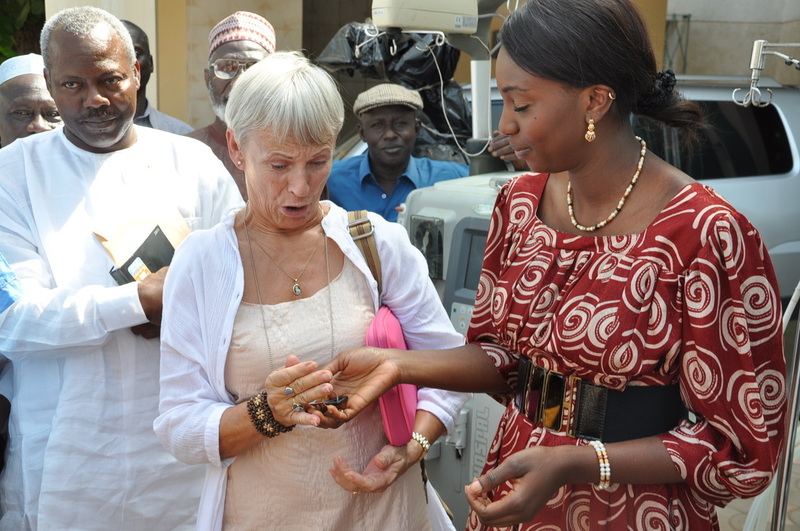 As part of this search she appealed to the Gambian government for for a surplus vehicle which might be refitted, following which she received a call from the President's office asking her to come to the office the next day - whereupon she took receipt of a Mercedes ambulance. Mel's original donation not only unlocked this gift but was also essential in allowing us to repair and overhaul the vehicle and keep it fully maintained and operational. 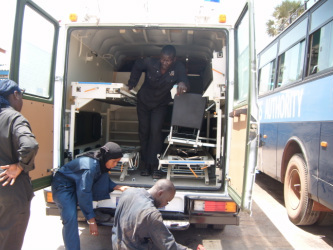 It is now one of the finest vehicles of its type in The Gambia, allowing us to ensure complicated labour cases and other medical emergencies reach a right medical facility in a fraction of the time it had previously taken by donkey or horse drawn cart. 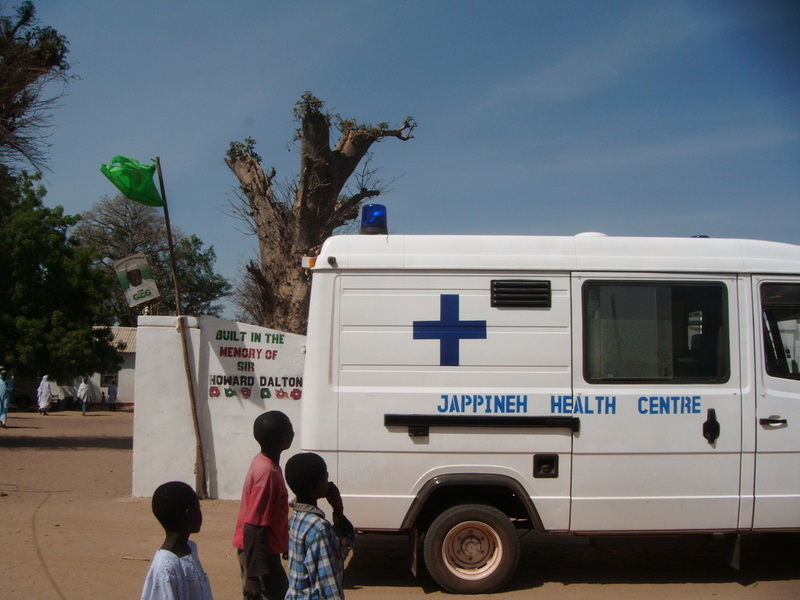 The photos show how gleefully the new ambulance was greeted in Jappineh. 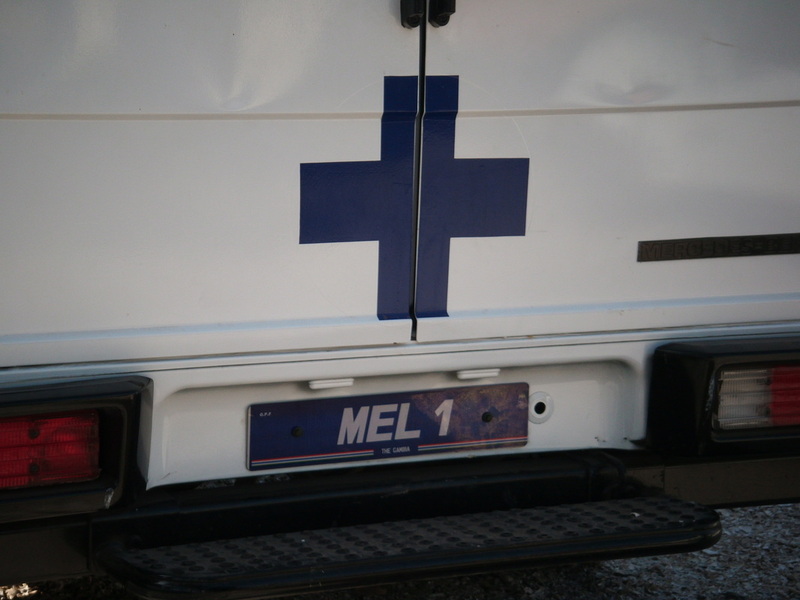 Click here to see here how the ambulance (registration Mel 1) started saving lives literally from day one. Click here to go back to the Sir Howard Dalton Clinic page.